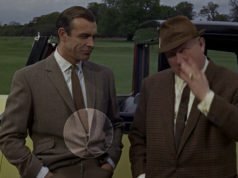 See Bond’s golfing outfit in the film Goldfinger. 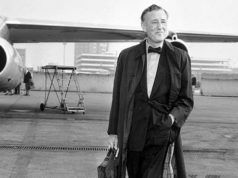 It's been a long time since I read any of Fleming's novels and it's interesting to see Bond's transformation from the character of the written page to the screen. In the books, Bond seems a more frugal character who, despite his fondness for exclusive brand names in cars and cuisine, is a little more reticent in his clothing than his cinematic portrayal. Your description of his golf apparel reflects this. I think the cinematic transformation came about, in no small part, due to the influence of the director of the first couple of movies: Terence Young, who was a man of natural style and elegance. 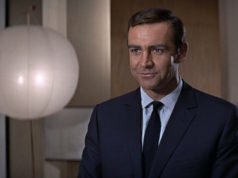 Young took Connery to his tailor and shirtmaker for Dr. No and so, when considering the Bond that followed, one has to tip the hat to Young.